Congratulations to Michael King of Euless, Texas for winning this month’s pinball raffle! You have a New In Box Stern Pinball Machine coming to your door! Also, congrats to Øyvind Lindahl for winning the Lord of the Rings Translight and Brian Webber for winning the ColorDMD! Brian you also won a translight for being this months biggest buyer! Thank you to Stern Pinball and ColorDMD for donating the additional prizes! A big thank you to everyone that participated in our October raffle. Your support is helping to open the first Pinball Education Center helping kids with autism. Congratulations to Bryan Emmett of Fort Collins, Colorado for winning this month’s pinball raffle! A big thank you to everyone that participated in our first monthly raffle. Your support is helping to open the first Pinball Education Center helping kids with autism. 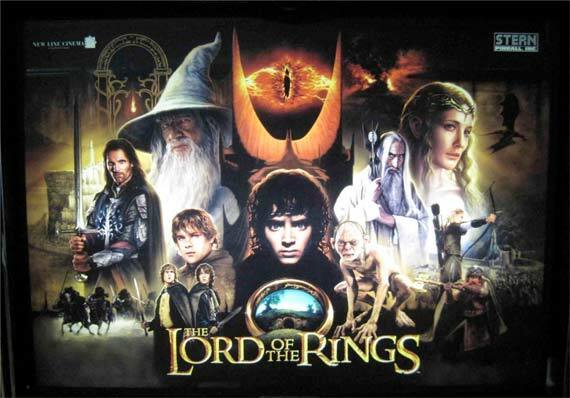 Stern has contributed a LOTR translight as another prize to be drawn immediately following the pinball machine. Your contribution to the main drawing qualifies you automatically for this prize, worth about $250 USD.